Securities offered through Registered Representatives of Cambridge Investment Research, Inc., a Broker/Dealer, Member FINRA/SIPC. Advisory services offered through Cambridge Investment Research Advisors, Inc., a Registered Investment Advisor. 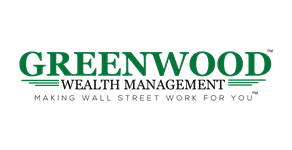 Greenwood Wealth Management and Cambridge are not affiliated. Emma Foulkes is equity licensed in AL, CA, FL, GA, IL, MD, MI, NC, NJ, NY, OR, SC, TX, VA. Jeffrey Wright is equity licensed in FL, GA, AL.Shardea Ages is equity licensed in MI, GA and IL. CFP® and Certified Financial Planner™ are certification marks owned by the Certified Financial Planner Board of Standards, Inc. These marks are awarded to individuals who successfully complete the CFP Board's initial and ongoing certification requirements.